Patrick Bloniasz is the Co-Editor in Chief of Hollis Brookline’s CavChron Newspaper. Outside the newsroom, Bloniasz is a Psychometric Researcher affiliated with DreamCatchersNH and Southern New Hampshire University and is the founder of his own research organization Voversum & Co. Within the school, Bloniasz enjoys taking part in a wide variety of groups, focusing his effort on the common good of the community, holding positions such as Student Body President, Director of Acapella, and Public Relations Officer of the National Honors Society. In his free time, he is an avid three season runner and enjoys writing poetry late at night, fueled by afternoon cups of coffee. He adores visiting the ocean frequently and is a fan of all genres of music. 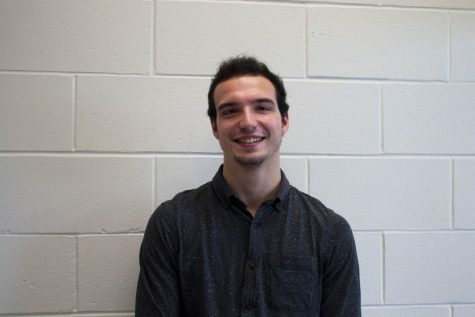 Bloniasz hopes to contribute his hard work, dedication, and enthusiasm to CavChron before pursuing studies in Neuroscience and Economics next year.